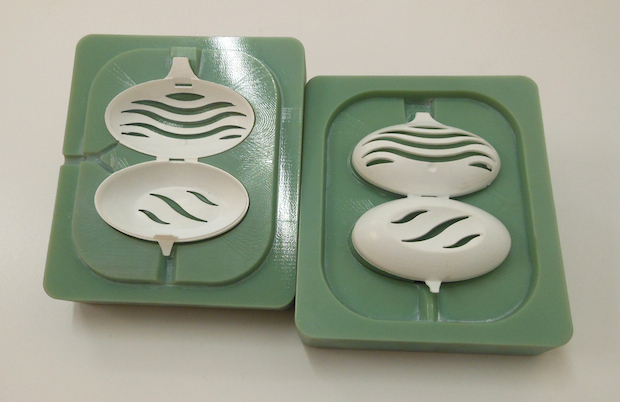 Stratasys Ltd. has and the Italian division Unilever have announced that they've cut lead times for prototype parts by 40% since introducing Stratasys' PolyJet 3D printing technology into its manufacturing process. 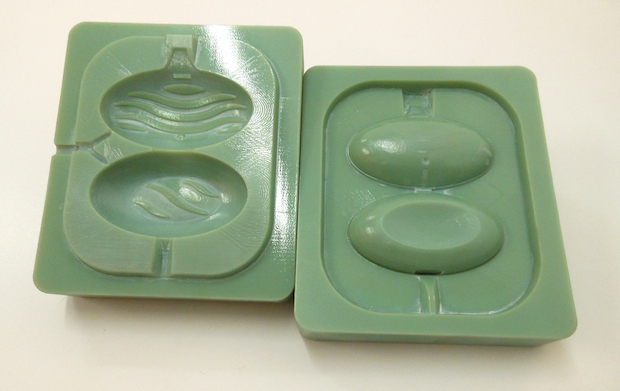 Unilever, which owns brands such as Surf, Comfort, Hellmanns and Domestos, is using its Stratasys Objet500 Connex Multi-material 3D Production System to produce injection mold tools for its household care and laundry goods divisions, with a run of around 50 units for a wide variety of prototype parts such as bottle caps and closures and toilet rim blocks. "Stratasys 3D printing technology, we can design and print a variety of injection molds for different parts that can undergo functional and consumer testing, all on the same day," explains Stefano Cademartiri, R&D, CAD and Prototyping Specialist at Unilever. "Before, we would have to wait several weeks to receive prototype parts using our traditional tooling process; not only would this lengthen lead times, it would also increase costs if iterations were required. With 3D printing we're now able to apply design iterations to the mold within a matter of hours, enabling us to produce prototype parts in final materials such as polypropylene, 40% faster than before." Armed with its Stratasys Objet500 Connex Multi-material 3D Production System from Italian reseller, Overmach, Unilever 3D prints its injection mold tools in Digital ABS - a material renowned for its high temperature resistance and toughness, making it ideal for injection molding applications. Cademartiri continues: "By 3D printing the injection molds in Digital ABS, we're able to retain the high quality associated with traditional manufactured prototypes, while also enduring the high temperatures and pressures of the injection molding machine, at a significantly reduced cost and turnaround time." "Having previously outsourced our thermoforming requirements, we found that we were accumulating significant labor costs and having to contend with lengthy lead times," concludes Cademartiri. "However, since 3D printing these parts ourselves, we've reduced lead times in the conceptual phase by approximately 35%. The technology has enhanced our overall manufacturing process, allowing us to evaluate our designs quickly and eliminate those that are not suitable, before committing significant investment towards mass production." Nadav Sella , Senior Manager Manufacturing Tools at Stratasys, adds: "We are seeing a growing trend among our customers to leverage our additive manufacturing systems as a manufacturing tool for a wide range of applications, in addition to direct prototyping. With the development of some of our recent, more durable materials, our customers can now enjoy flexibility in their choice of methods to create their manufacturing tools and test designs in their final production materials, before investing in costly metal tools."